Life is all about making memories and nothing except a traveling experience can give you more memories, especially when you get the hills and mountains to take selfies with. So when life is giving you the right opportunity to make memories why not make it perfect with the perfect moments and definitely the perfect Waterproof Backpack. Before leaving for the much-awaited trekking trip that you have been planning for months and probably convincing your parents, leave aside the money part, we all know that you definitely need to keep a few things in mind before buying your backpack. A backpack in a trek is almost analogous to your life partner in your life. You may not be able to control the latter but you can surely control the other. :p Just kidding! check out the Infographics on how to choose right backpack? The first thing you should do is consider the total weight you are going to carry. This will definitely depend upon the duration of the trek.One-day treks can be done with day packs. They are lightweight, sturdy enough to carry 5 kg of load. Always look for one with a hip belt to distribute the weight evenly. They come in 20 to 30 L (liter) sizes. 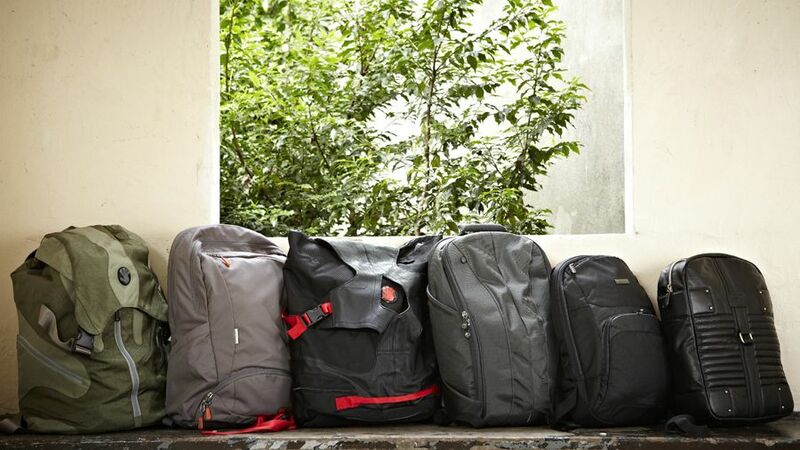 Longer treks require backpacks with greater capacity, like 40, 50 and 60 L. These bags can carry gear ranging from 8 to 13 kg. Once you have decided on the type of backpack, get your torso measured. Backpacks come with specifically designed sizes, based on different body sizes. Take a measuring tape and start measuring from the back of your neck, right where you feel a prominent vertebra protruding out and where your shoulders meet your neck. Put your hands on your hips and feel the top of the hip bone. Spread your thumbs out towards your spine. Yes, we understand it’s too much; you definitely need help. .Have someone measures this imaginary line between your thumbs. This will give you your torso length. When buying, try the backpack and inspect its straps by loosening them. Always start with the hip belt. The top of your hips should be anywhere from the middle to the top of the waist belt. Ensure that you have at least one inch of adjustment to either tighten or loosen the belt. Now, test the lower shoulder belts by pulling them up. You should look for a good consistent curve of this strap around your shoulder front to back. Inspect how wide the shoulder straps are across the chest. Now load the straps on top of your shoulder straps. You can adjust the angle of these straps as they come off the shoulder straps. An ideal angle would be 45 degrees. Keep the angle in between 25 to 60 degree at all times. You can always adjust these straps while trekking uphill or downhill to help you be more comfortable with your backpack. Check the backpack by putting in some weight in it. Remember, you will be carrying it most of the time, so that makes it the most important and crucial step in deciding the backpack. Walk around, try running; be sure that it’s lightweight. If you feel uncomfortable, don’t hesitate to go for another one. As for the final step, inspect the features of the backpack and align it with your needs. Needs may be like a backpack with lightweight material, compartment for the hydration pack, better ventilation system, more compartments for keeping essential gears and much more than you feel help in making your trip fun and hassle-free.